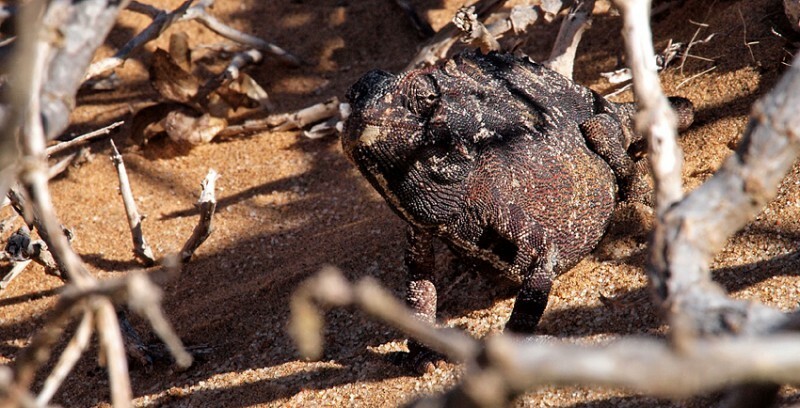 This kind of chameleon lives in the western parts of Namibia and the North West of South Africa. 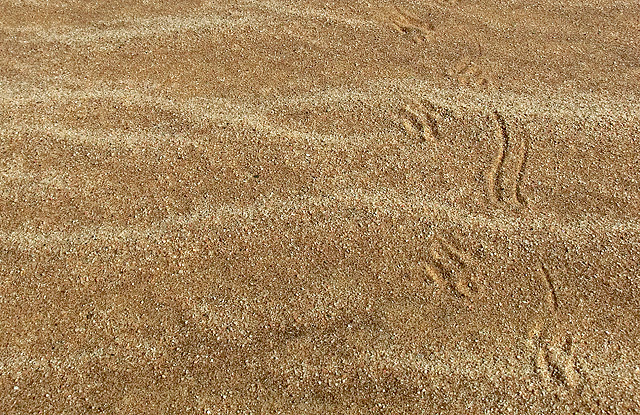 It lives on the ground (sand) and hunts insects. We saw one just as we were to start our tour. We wanted it to come out and Chris knew how. It turned out to be a she. Pretty!? Above our girl is showing off her basic black colour but of course they can change colours – depending on their mood and on where they are. 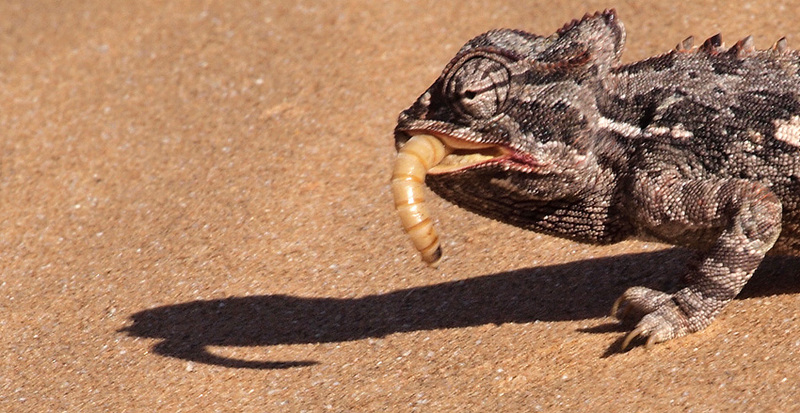 They can get darker to attract sun heat, become warmer and by that also move faster. A little bit later Chris stopped the car again. Fresh chameleon tracks. 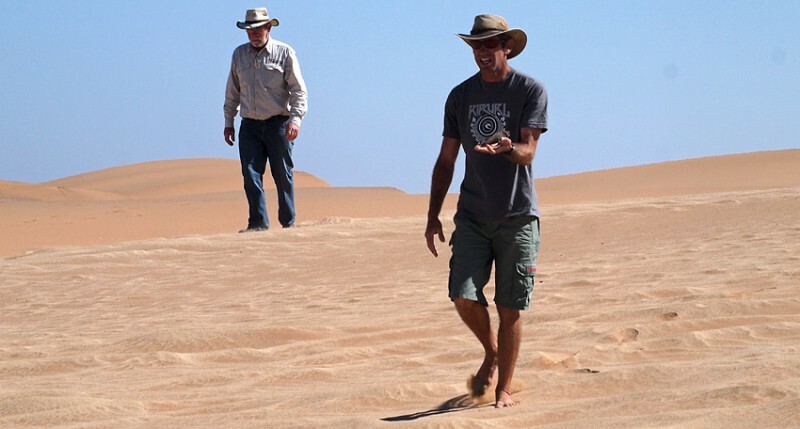 Chris disappeared behind some dunes but soon returned. It worked fine. Happy with the food the color changed nicely. The chameleon can use the eyes to see in both directions at the same time. 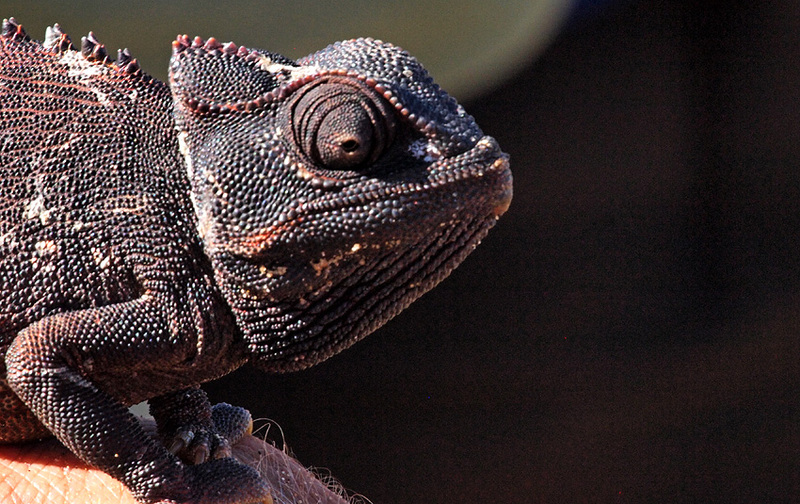 Before the tour was over we were lucky to see yet another chameleon. Chris and Hanna gave her some food.